In honor of Women's History Month, I thought I'd invite five famous historical women to talk about politics, world conquest, and men over for peanut butter chocolate ice cream cake. 1. 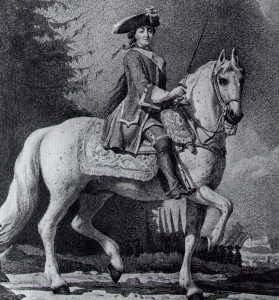 Catherine the Great: Why? Because she's a freaking rock star. We all know she had scads of affairs, but she also likely had a hand in overthrowing her (loser) husband, oversaw the downfall of Pugachev's rebellion, and was pen pals with Diderot and Voltaire (who I absolutely adore). 2. Boudicca: I first came across Boudicca when reading Manda Scott's glorious novels on the woman warrior. 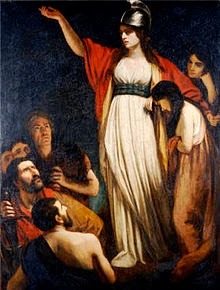 Granted, Boudicca's story doesn't have a happy ending, but the woman stood up to all of Rome. That alone entitles her to a slice of ice cream cake. 3. Berenice, daughter of Herod Agrippa I: Daughter of one king, sister to another, and mistress to Emperor Titus... What's not to love? In addition, there's the salacious rumors that she had an affair with her brother, leading me to suspect she's yet another powerful woman maligned by history. 4. Roxana, wife of Alexander the Great: Okay, I have an ulterior motive for this one, seeing as how Roxana is one of the main characters in my fourth book. 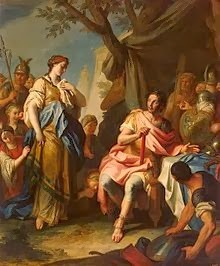 I'd dearly love to gossip with her about Alexander and his pal Hephaestion, and how Roxana ended up being such a ruthless witch after Alexander died. 5. 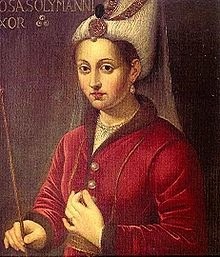 Roxelana, wife of Suleiman the Magnificent: Yet another not-so-kind woman in history, I'm fascinated by her because she's from Istanbul (well, originally from the Ukraine) and she made Suleiman fall madly in love with her and then became one of the most powerful women in Ottoman history. So tell me, which women would you invite to your dessert smorgasbord?